Need a Landscaping Company in Dublin, Central Georgia? I must admit I was very skeptical when I hired Tg to do our landscaping. I met TG when he was just starting his business. He seemed trustworthy and knowledgeable about the business so I decided to give him the opportunity to prove himself. He did landscaping around our house and also gave me a proposal for a irrigation system and a pondless waterfall. The quote was in our budget and the workmanship is spectacular. We now have Simmons Landscaping do all of our landscaping needs from foliage to irrigation maintenance. In fact, the latest addition was the pavers that were placed on the back of our deck. We have recommended him to all of our friends. Needless to say, TG has proved himself over and over to us and I would recommend him and his dependable staff for any of your landscaping needs. They are very professional and dependable. Simmons landscaping service provides quality work that cultivates the image that many clients desire. Simmon’s Landscaping service is located in Dublin, Central Georgia, and it is one of the few landscaping firms that are known for the reputability. A landscape can be thought of as a face that is presented to the public. In all walks of life, first impressions are a must. Landscaping is not an exception. A quality landscaping service will evoke both a mood and a statement. Quality landscaping firms in Central Georgia employ techniques of shape, color, flowers, foliage, water, stone and other material to welcome visitors, as well as satisfy clients. Landscaping is an art that cannot be manipulated by amateurs offering bargain-level pricing. Simmon’s landscaping takes pride in offering quality work and customer care with very competitive pricing. Simmon’s landscaping knows the value that many clients have invested with both their image and their landscape. Simmon’s landscaping services in Dublin, Central Georgia focuses on designing a landscaping plan that relies on the big picture. Landscaping is an art that requires a significant amount of experience. 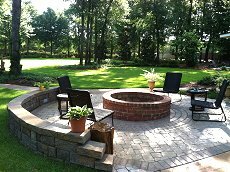 Simmon’s landscaping has served the Central Georgia area for nearly 10 years, and the numbers of satisfied clients are a testament to our quality work. Simmon’s landscaping differs from other amateur landscaping firms in that we plan ahead of time. Our experience in the landscaping business stems from maintaining customer satisfaction even after our contract ends. We provide support for any landscaping or maintenance problem. Simmon’s landscaping utilizes its experience in thinking creatively, economically, and practically. Most amateur landscaping firms do not have the experience to think “outside the box”. In this economy, the number of landscaping service options in Central Georgia has expanded quite rapidly. Clients should focus on quality landscaping services that have high customer satisfaction and not just the bottom-level cost. Lastly, Simmon’s landscaping anticipates any potential or future problems with any landscaping or maintenance plan. Most clients would rather put their trust in a landscaping service that has serviced clients for nearly a decade. Simmon’s landscaping has provided exceptional services to Dublin, Middle Georgia for a wide range of properties. There are a variety of landscaping maintenance services that are offered, such as turf maintenance, creative color designs, tree and shrub care, seasonal color design and installation, transplanting and removal, irrigation management, erosion control, landscape renovation and enhancement, steam cleaning and removal, and a variety of other possible services. Simmon’s landscaping is based on customer satisfaction, and we can easily customize a landscaping plan based on your needs. Simmon’s Landscaping service is located in Dublin, Middle Georgia. We provide the highest type of landscaping service quality, which is built into every maintenance job that we perform. Simmon’s landscaping consists of crews that are trained in the art and science of landscaping. Landscaping consists of many small elements that come together to form a big picture. Techniques of shapes, colors, sizes, vegetation, and organization are key in creating a unique landscaping plan. Simmon’s is one of the few landscaping services in Dublin, Central Georgia that love what we do, and keep our customer’s satisfaction as our highest goal. If you are considering a landscaping service in Dublin, Central Georgia (or a nearby area), make sure to consider Simmon’s Landscaping services.